I got my vegetable garden enlarged again! Its about 1/2 the size larger.. Hope all the vegetable plants do well and we don't have any of those nasty japanese beetles! 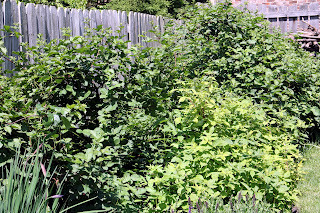 Blackberry and red raspberry bushes.With tons of blossoms ..looks like it will be a good crop again this year . 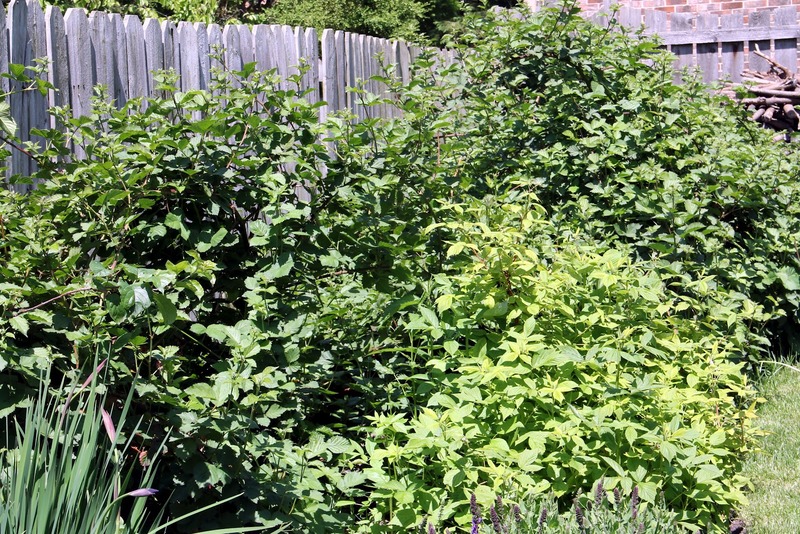 the bushes are getting so big. I planted some hollyhock roots in this garden around the mailbox last week , can't wait to get those growing ! I have always loved the hollyhocks but have never grown them . 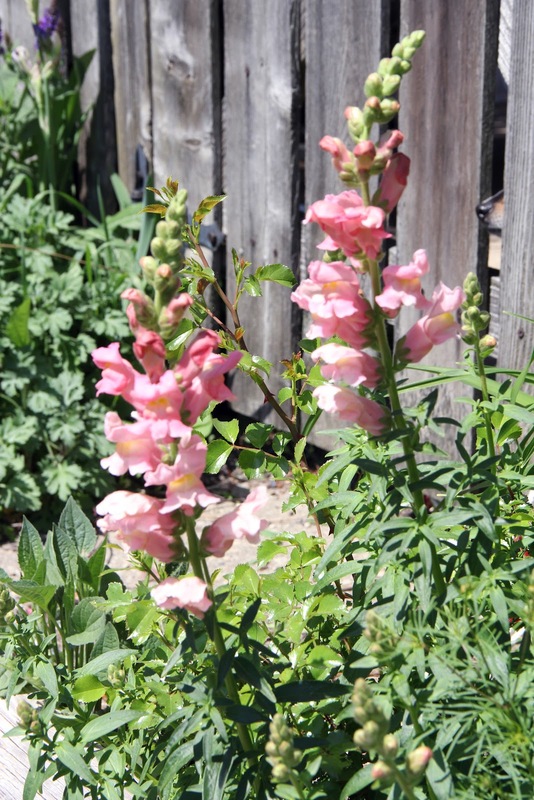 These snapdragons have come back for about 4 years now. Seems strange for them to survive the winter, but they look great ! 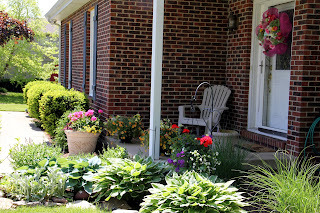 One of my planters on the front porch.. 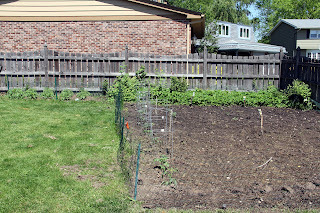 The vegetable garden, Up against the fence on the left are 2 kinds of potatoes, they are growing really well already ..on the right are strawberries and black raspberries..also some oregano.In the garden we have alot of tomatoes, cucumbers , beans, and zucchini..I still will plant some more beans and some peppers and maybe a couple eggplant plants. 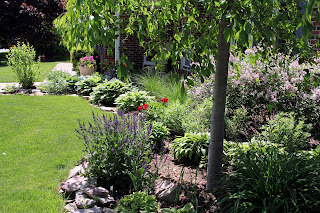 This is the front yard,korean lilacs and sage are blooming, the hostas are all doing well..we just had some big evergreen bushes ripped out from in front of this bed , but we still don't know what kind of bushes we are going to plant in their place. 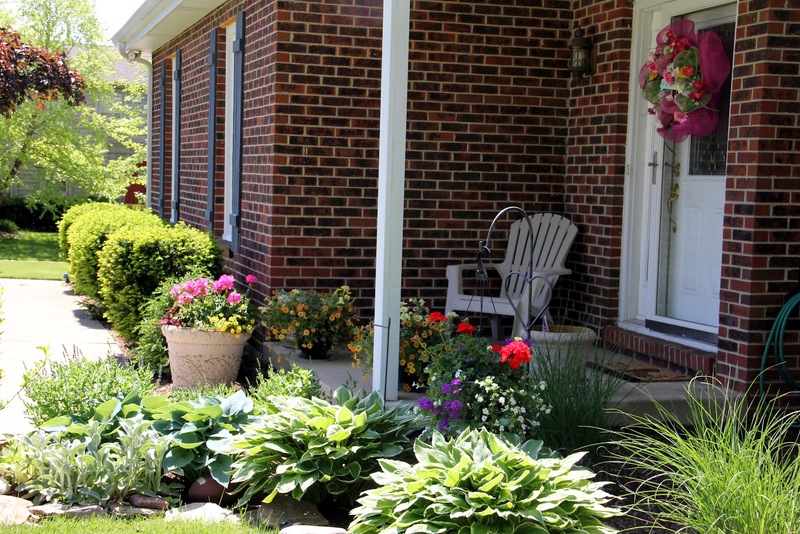 Your yard and gardens look so pretty and neat! 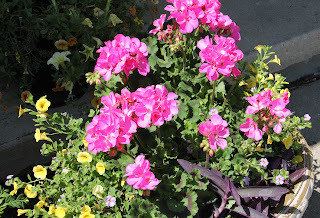 Are you going to post any pics of your flowers for the afghan? I'd love to see them! Do you know what colors you are going to use for the background and joining yet? I think I'm using black backgrounds and Vanna's Honey (a goldish-brown) for the joining, but I haven't made a sample to know for sure yet. 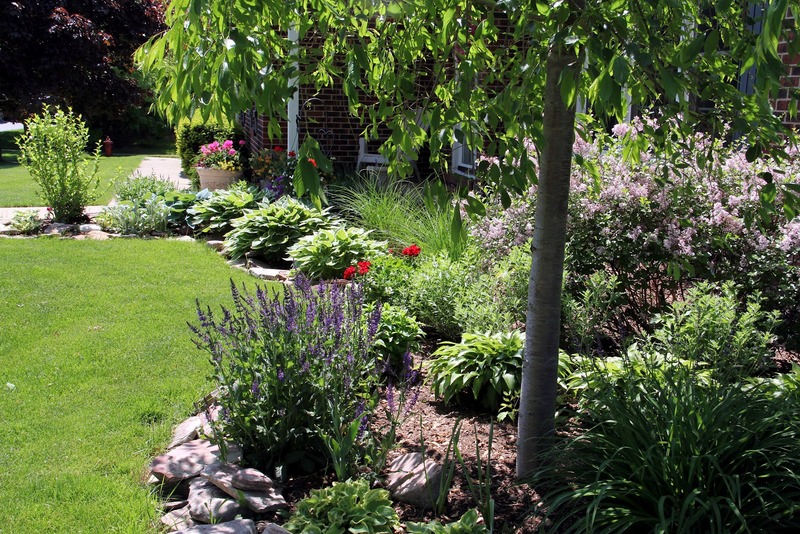 I love the way your front garden curves around . . . so pretty. 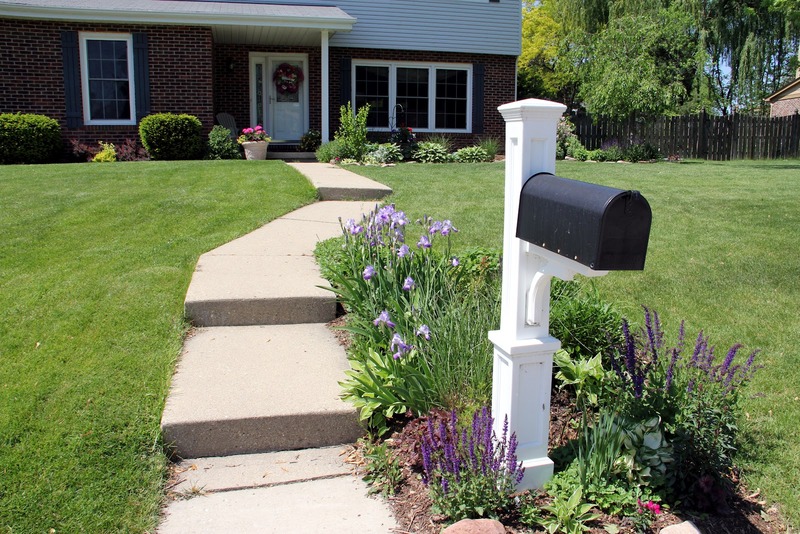 Your front yard looks very pretty. 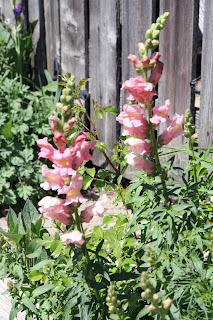 I like the snapdragons and have never had any reseed...lucky you! 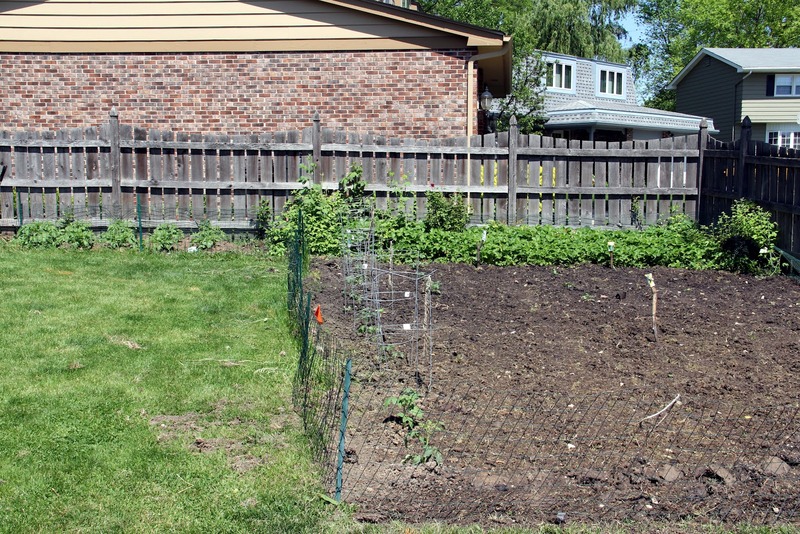 You have a wonderful large patch for your vegetable garden--very nice! 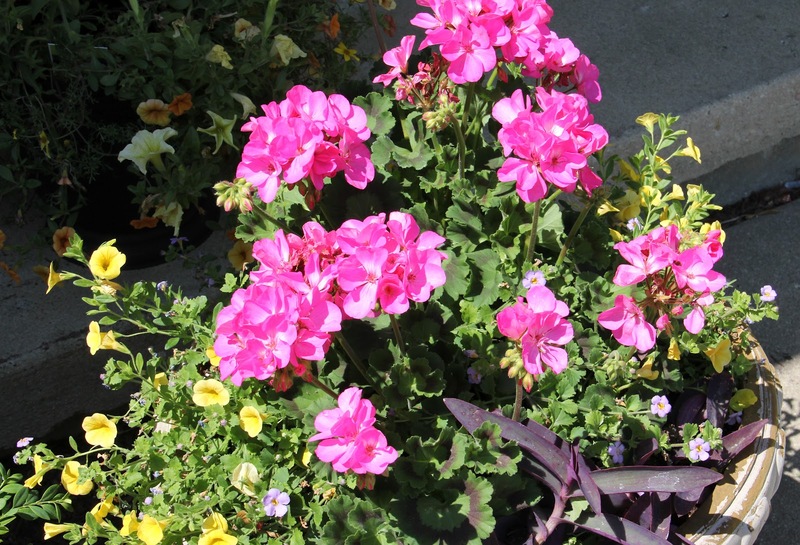 I love your beautiful pink snapdragons--so funny--mine wintered over this year as well. I was very happy to see them again this year!